Wild weather that is and big East swell. The Eastern Suburbs got drenched yesterday. Most beaches were unsurfable. 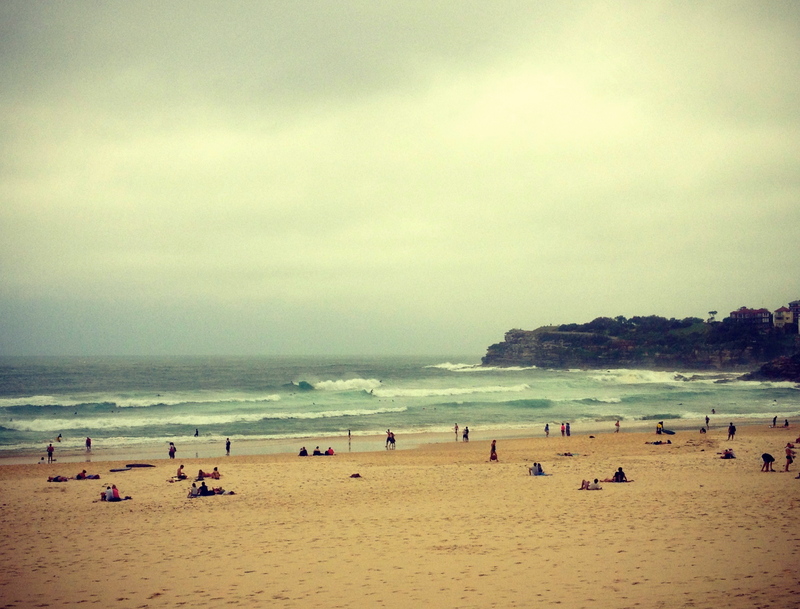 Bondi was a washing machine. I went for a walk to see what Tama looks like. I only got half way between Bondi and Tama until I got soaked despite wearing a funky (not really) cape and decided to abort my mission. I still managed to take a video. Some of my mates actually did get a wave in on Saturday. The harbor was breaking. I saw a few photos on Facebook. Looked like fun at about 2-3 foot. I still have not managed to surf there. And I’m really not sure about that part. I’m usually not the big fan of the shark stories but the harbor is known to be sharky as hell and it only breaks when it’s murky and stormy….hmm…I guess if there are lots of people out there, the sharks are probably more scared of us….Maybe I try it in the next big storm. Today, conditions are much better. Bondi is completely out of the wind and protected. It was glassy in the morning and heaps of fun. The South corner looked like it’s still a bit unsettled and lots of water moving but highly surfable with some fun rights. The North corner was a bit smaller but still a good 3ft with some fun lefts. I opted for the smaller side in the end due to an unplanned hangover (on a side note…not only the surf was wild. 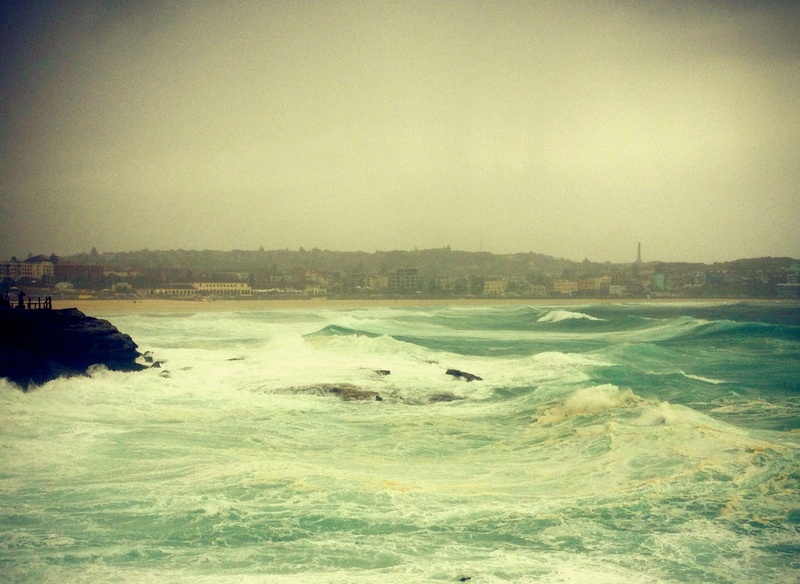 Despite sh…weather, there was lots going on in Bondi due to Bowlarama). It was quite hard work if you got caught on the inside but at the same time heaps of fun. There were some really, really good lefts coming through if you were patient enough. My last wave was going for ages. It was not meant to be my last wave either. I turned around to paddle back out. But all I could see was lots and lots of whitewash and many many people so I decided to call it a day. Well, actually I did not really call it a day yet. It still looks pretty good. The tide is a bit low at the moment. I’ll head out for a late avo/eve one when the tide comes in a bit (hence the early weekend wave wrap…). By then the swell should have settled even more (as well as my hang over) and make for a fun session. I expect the swell to hang around until early next week but not sure beyond then. 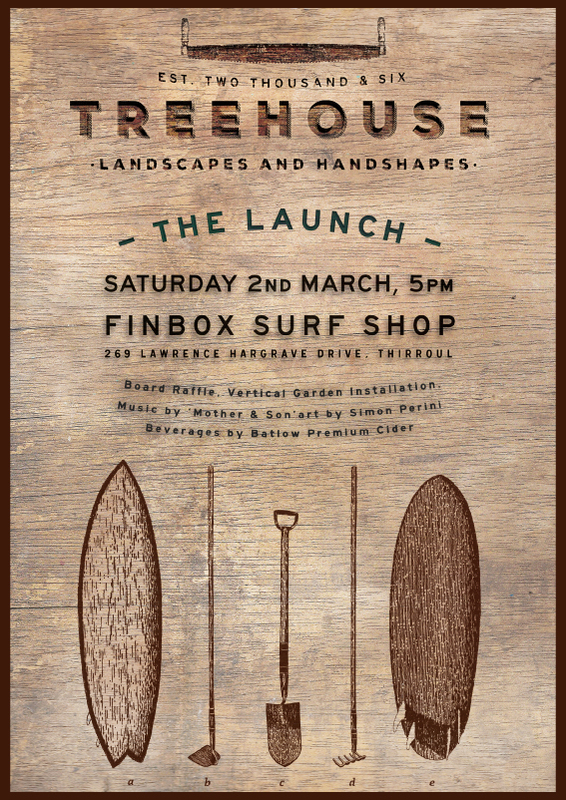 In other news, Dave from Treehouse Surfboards is throwing a party at the Finbox Surfshop in Thirroul to celebrate the re-launch of his business as ‘Treehouse Landscapes and Handshapes’ next Saturday. I don’t know if you’ve read my post about the beautiful timber boards he makes. Dave is a man of many talents…not only does he make beautiful wooden boards but is also a gifted landscape architect. Drop by at the party if you get a chance. I know it’s a bit out of the way for the Sydney peeps but why not combine with a surf trip down South. The event is open to all lovers of gardening and/or surfing. There will be a life band and an exhibition by surf photographer Simon Perini. Sounds like fun to me. It starts at five. I’ll even try to make it out of the Bondi bubble for the occasion. Enjoy the rest of the weekend and have a great week ahead.